Our goal is to provide an insightful summary of contemporary art in the US. 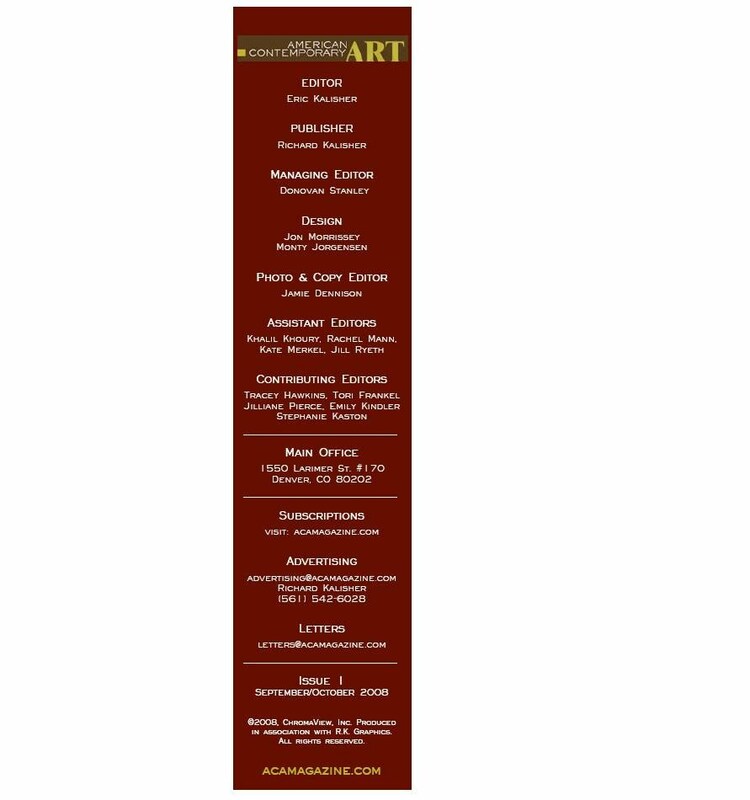 This publication will combine art reviews with in-depth portfolios, thoughtful articles about the state of art, as well as columns that explore diverse facets of the art world. We will also extend coverage throughout the country to show what is happening outside of New York City, giving readers a wider view. To find out about key exhibitions, top new artists, important trends, novel theoretical approaches, and even industry gossip, American Contemporary Art will be a must-read. Look for us in August 2008. For more information -- about advertising, subscriptions, or submissions -- please see below.